The word nacreous comes from nacre the substance that forms mother of pearl. The similarity here is clear with the inner surface of a mollusc shell such as an abalone for instance. 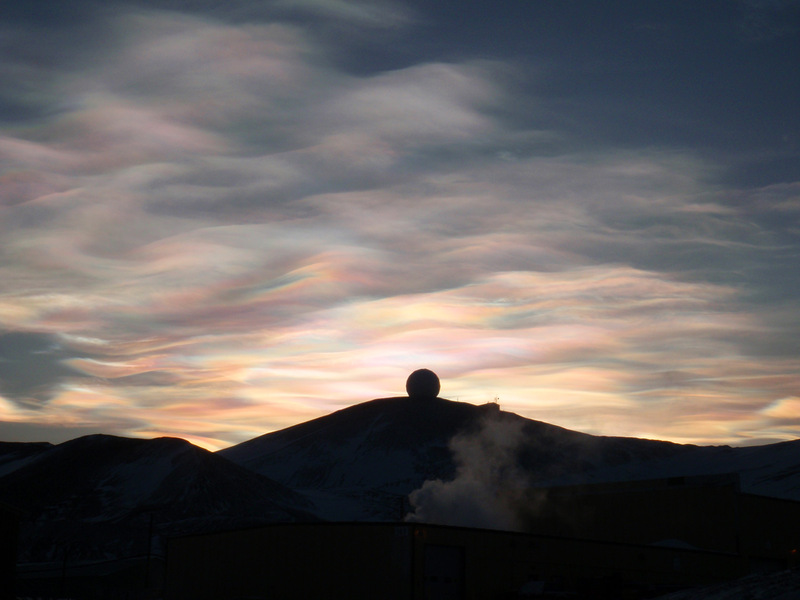 This kind of cloud is found mainly at the poles, though more commonly in Antarctica than the Arctic as Antarctica gets colder, extreme cold is required for their formation. They form in the stratosphere which is the layer of atmosphere that starts at about 10,000m (6 miles) up and stretches on to around 50,000m (31 miles). The stratosphere comes a little closer to the surface towards the poles reaching down to about 8,000m (5 miles).